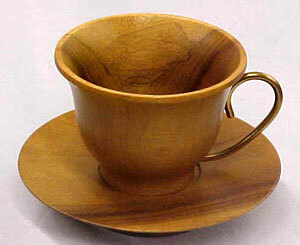 Handmade out of Myrtlewood, this cup and saucer set is perfect for the tea cup collector. It's body is wood and comes with a brass handle. The Myrtlewood comes in satin, or gloss.